Seismicity is one of the most commonly monitored phenomena used to determine the state of a volcano and for the prediction of volcanic eruptions. Although several real-time earthquake-detection and data acquisition systems exist, few continuously measure seismic amplitude in circumstances where individual events are difficult to recognize or where volcanic tremor is prevalent. Analog seismic records provide a quick visual overview of activity; however, continuous rapid quantitative analysis to define the intensity of seismic activity for the purpose of predicing volcanic eruptions is not always possible because of clipping that results from the limited dynamic range of analog recorders. At the Cascades Volcano Observatory, an inexpensive 8-bit analog-to-digital system controlled by a laptop computer is used to provide 1-min average-amplitude information from eight telemetered seismic stations. The absolute voltage level for each station is digitized, averaged, and appended in near real-time to a data file on a multiuser computer system. Raw realtime seismic amplitude measurement (RSAM) data or transformed RSAM data are then plotted on a common time base with other available volcano-monitoring information such as tilt. Changes in earthquake activity associated with dome-building episodes, weather, and instrumental difficulties are recognized as distinct patterns in the RSAM data set. RSAM data for domebuilding episodes gradually develop into exponential increases that terminate just before the time of magma extrusion. Mount St. Helens crater earthquakes show up as isolated spikes on amplitude plots for crater seismic stations but seldom for more distant stations. Weather-related noise shows up as low-level, long-term disturbances on all seismic stations, regardless of distance from the volcano. Implemented in mid-1985, the RSAM system has proved valuable in providing up-to-date information on seismic activity for three Mount St. Helens eruptive episodes from 1985 to 1986 (May 1985, May 1986, and October 1986). Tiltmeter data, the only other telemetered geophysical information that was available for the three dome-building episodes, is compared to RSAM data to show that the increase in RSAM data was related to the transport of magma to the surface. Thus, if tiltmeter data is not available, RSAM data can be used to predict future magmatic eruptions at Mount St. Helens. We also recognize the limitations of RSAm data. 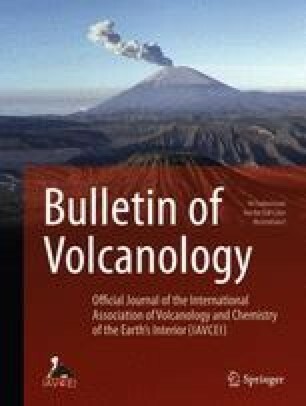 Two examples of RSAM data associated with phreatic or shallow phreatomagmatic explosions were not preceded by the same increases in RSAM data or changes in tilt associated with the three dome-building eruptions.